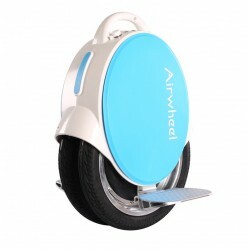 The Airwheel drive up to 10 mph, while keeping an average speed of 7-8 mph. It will make sure you don't go too fast by leaning the foot platforms slightly backward when the speed gets too high, effectively forcing you to slow down. 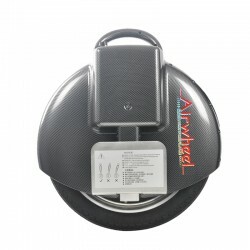 Even when driving down hills it will not go any faster, and it will charge the battery when driving downhill! The range you can drive depends on many things, most importantly your weight and how much up and downhill you're driving. Keeping a constant medium speed and driving in an ambient temperature of 75F or above will use less power compared to riding with frequent starts and stops and when used in cold weather. In tests using GPS to track the actual street range we have measured 7 to 10 miles on a single charge using the Q3-170WH model. 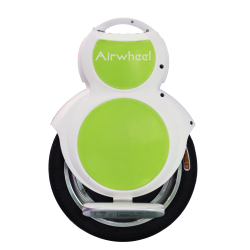 Safety is an important factor for any vehicle, and the Airwheel have several safety mechanisms that makes the riding safe. 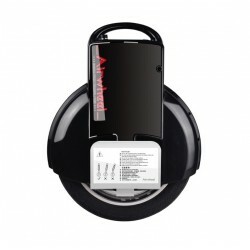 It will beep and tilt slightly backward to slow down the user when the battery gets low. it will also warn if a technical error should occur, and it will stop the engine if it falls over. The lithium batteries are made in Japan by SONY, SANYO, SAMSUNG or PANASONIC depending on model and production date. 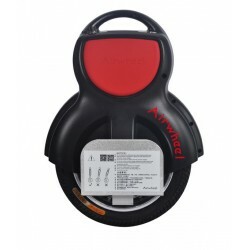 They are rated for 1800 charge cycles, and are UN38.3 certified. The batteries can also be replaced when that time comes. 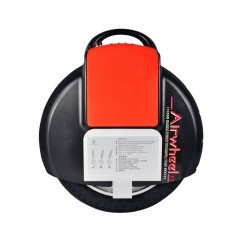 We are an authorised Airwheel distributor. We ship worldwide and offer UPS free shipping to many destinations. Orders will arrive in 2-7 days depending on where you are. We offer 1 year warranty and support of all units bought through us, and we do have a 15 days return policy.